Vietnamese cooking has become a staple of Crescent City cuisine. Fans of the fresh, flavorful offerings once had to travel to New Orleans East or the Westbank, where there were concentrations of Vietnamese immigrants and family restaurants. 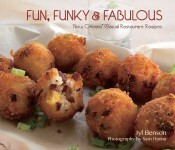 Now, however, this cuisine is found throughout the greater New Orleans area. 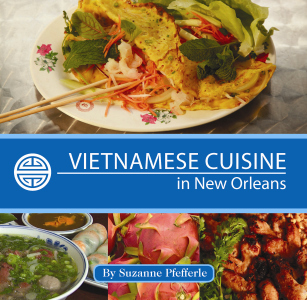 This tantalizing book brings together information and photos on the Vietnamese dishes, culture, and history in New Orleans. 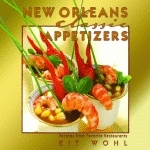 Recipes from restaurants such as Café Minh, Tan Dinh, and Pho Tau Bay are included. 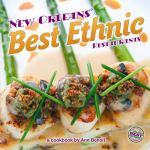 Local chefs have embraced this newest addition to the palate of New Orleans, and international luminaries such as John Besh, Emeril Lagasse, and Brian Landry have contributed their personal recipes for this volume. This immersive experience into Vietnamese culture will leave readers and cooks asking for seconds. Suzanne Pfefferle is a native New Orleanian, freelance writer, film producer, and avid traveler. 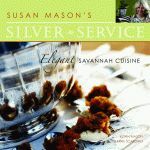 Her work has appeared in such publications as Where Y’at magazine, New Orleans Living, Louisiana Cookin’, Sugar Journal, Where Magazine New Orleans, and Travelhost New Orleans. The writer and producer of the documentary Vietnamese Cuisine in New Orleans, Pfefferle is a member of the Press Club of New Orleans and the New Orleans Film Society. Pfefferle graduated from Our Lady of Holy Cross College in liberal arts with concentrations in English and art. Leonard Stephen Delbert, Sr. is a photographer and videographer with more than forty years of experience. He began shooting and editing in 16mm format while employed at the former Pan American Films in New Orleans, now Pan Am Communications, Inc., of which Delbert is president. An accomplished commercial and documentary videographer, Delbert’s previous projects include Vietnamese Cuisine in New Orleans and New Orleans Restaurants with a Past, which was produced with Peggy Scott Laborde. He is a lifelong resident of New Orleans, Louisiana. Photography by Lenny Delbert, Sr.